Elliptic gears can be used to transform constant rotation into nonconstant rotation. When the orange gear rotates at a constant rate the blue gear rotation is first slow and then fast. 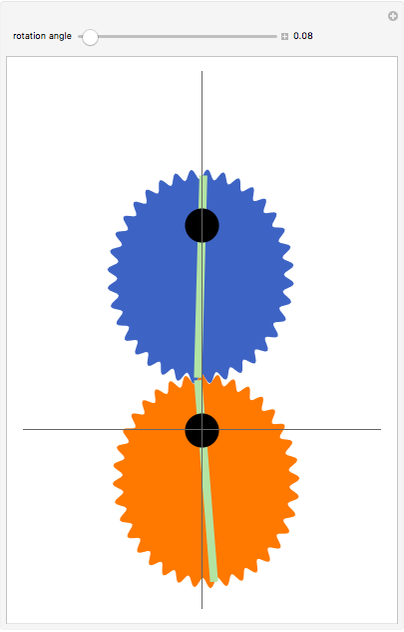 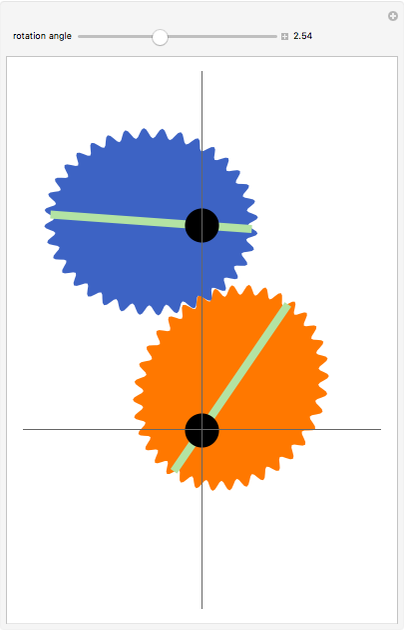 Snapshot 1: The position of the gears when the red gear has rotated through and angle of 2.54 radians. 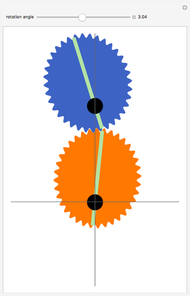 Snapshot 2: Position where the blue gear is rotating fastest. 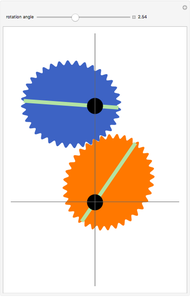 Snapshot 3: Position where the blue gear is rotating slowest.